David Liebe Hart is an actor, musician, painter, and alien abductee. If you don't believe me, Hart says so himself on his website. 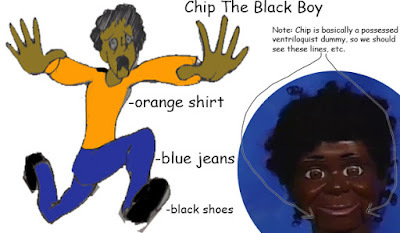 He sometimes performs with his son, Chip the Black Boy. Yes, Chip is a ventriloquist dummy. 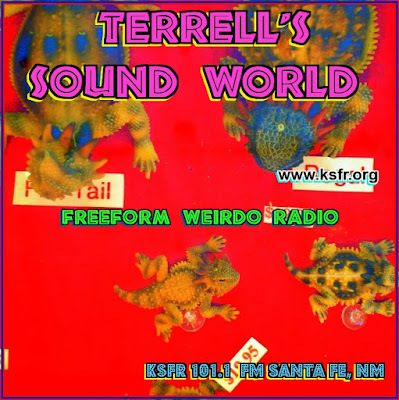 And for about 20 years, Hart had his own public access religious show in Los Angeles, The Junior Christian Teaching Bible Lesson Program, But he got better known from his appearances on Tim and Eric Awesome Show, Great Job! on Adult Swim. You can find Hart's music, including a couple of Chip albums on his Bandcamp site. Chip's not on this one, but I felt the message is important enough to include here.